HD Recording · DDD · Duration: 29 Min. 57 Sec. Performed by Patricia Hase (Piano) and the Ensemble Galina. 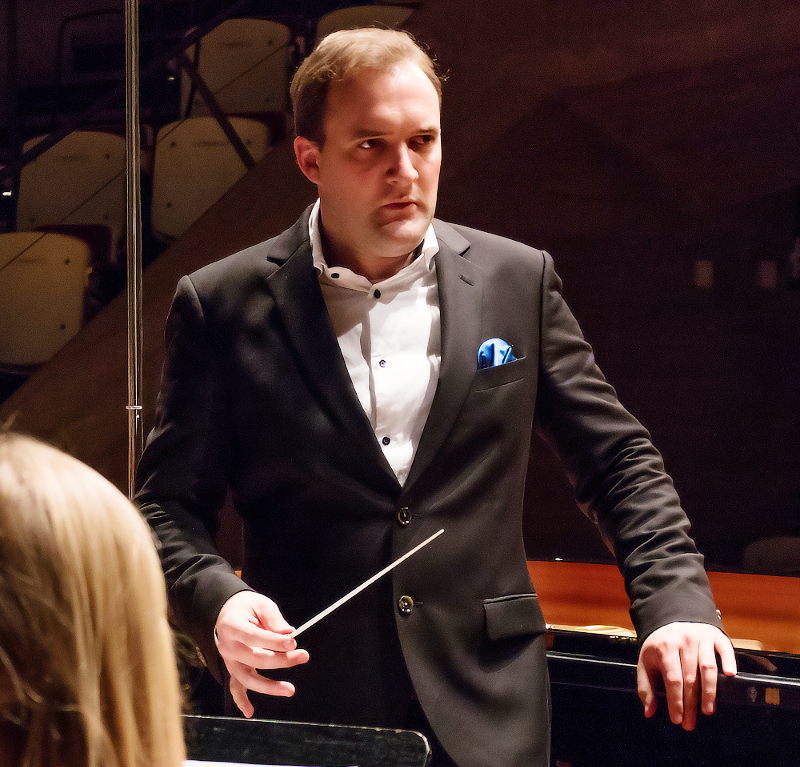 Conductor: Peter Leipold. It can now be assumed, that on the 29th of March 1795 what is now known as the second concerto in B flat major Op. 19 was presented to the Viennese public in Hofburgtheater. Announced was "a new concerto on the pianoforte, played and composed by the maestro, Herr Ludwig van Beethoven". The origins of the composition date back to the year 1790. At that time Beethoven was living in Bonn and had begun to give many concertos as a soloist - in Bonn, Vienna and on tour. The concerto went through four different versions before it was first printed in 1801. Further versions were developed between 1793 and 1794, when the third movement was added, as we know it today. This Rondo, in 6/8 measure, exhibits particularly significant features. First the metric shift of the main theme, which creates an unusual syncopation; the first note appears on the first metric beat and not as an upbeat, as would be expected. This syncopation also remains the connecting rhythmic element for the whole movement. Only once, namely in the coda, does the first eighth note appear as an upbeat, but here it does so in the completely surprising "wrong" key of G major. The movement through keys in the Rondo is in principle quite remarkable; the minor variant of the main theme first appears in G-minor, then in C-minor and then completely unexpectedly in the far distant B-flat minor. Generally the work with motives and the development of the main theme are already very significant and certainly influenced by his then newly acquired teacher Joseph Haydn, as well as the ending of the Rondo, which to this day has not lost its witty effect. The piano seems to be completely lost in a cadence before the orchestra abruptly sets the five sensational final bars of the concert in subito fortissimo. Last but not least is the aforementioned syncopated character, which also could be traced back to the influence of folk music in the symphonic music of Haydn. The final version of the orchestral score, as we know it today, was built on the highly successful concert tour to Prague in 1798, whose success Beethoven used to generously revise the Concerto in B. Only the piano part was completed in 1801 in Vienna. The unusually long time-frame of the composition over 11 years echoes the visible transformation of Beethoven from a traveling virtuoso to an established composer. At the same time it also shows the continuous process of establishing independence from his education and his heroes. This is illustrated precisely in the way he reworks an earlier work. In the first impression the main motive of the first movement appears very much in the sense of Mozart and Haydn. But also at the same time it is already in the same manner he created his later main motives, which exist primarily to be further developed. Compared for example with the main theme of the "Eroica" - here and there it's built up exclusively by broken triads whose motific development run through the whole movement. An equally characteristic feature is the completely contrasting lyrical response to the main theme, which quite abruptly follows it in the second measure. Similarly significant is the dialogue between the piano and the orchestra at the end of the second movement, the Adagio, which is entitled "con grande espressione". The piano seems to be able to convince and reassure the orchestra - as it also does later in the second movement of the fourth piano concerto. Following the initiative of the Stuttgart piano teacher and publisher Prof. Dr. Sigmund Lebert, several arrangements of piano concertos of Ludwig van Beethoven emerged in 1881 "...for study and concert-hall" and for which he was able to get famous composers, such as Franz Liszt or Vincenz Lachner. We owe to the latter the transcription of the second concerto, which gets a fascinating, rarely heard chamber music sound through careful allocation of the parts and refined orchestration and which appears on CD for the first time with this recording. 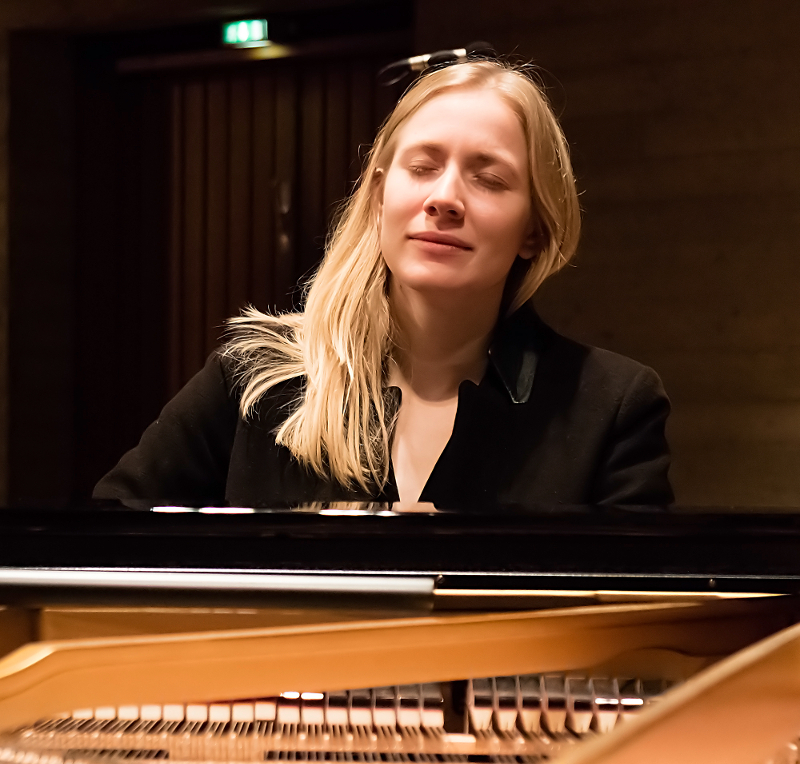 ridging distances, bringing music closer to the people in a completely natural intimate way - these are the strengths of the pianist Patricia Hase, born in 1989 in Wiesbaden. Educated in one of the talent-hotbeds of the international piano elite at the Hanover University for Music, Drama and Media in the studio of Matti Raekallio, the young musician has set for herself the task of establishing through her music the connections between highly intellectual works of Western culture and the everyday life of the listener. In doing so she captivates with her warm sound, profound interpretations, and mature virtuosity. 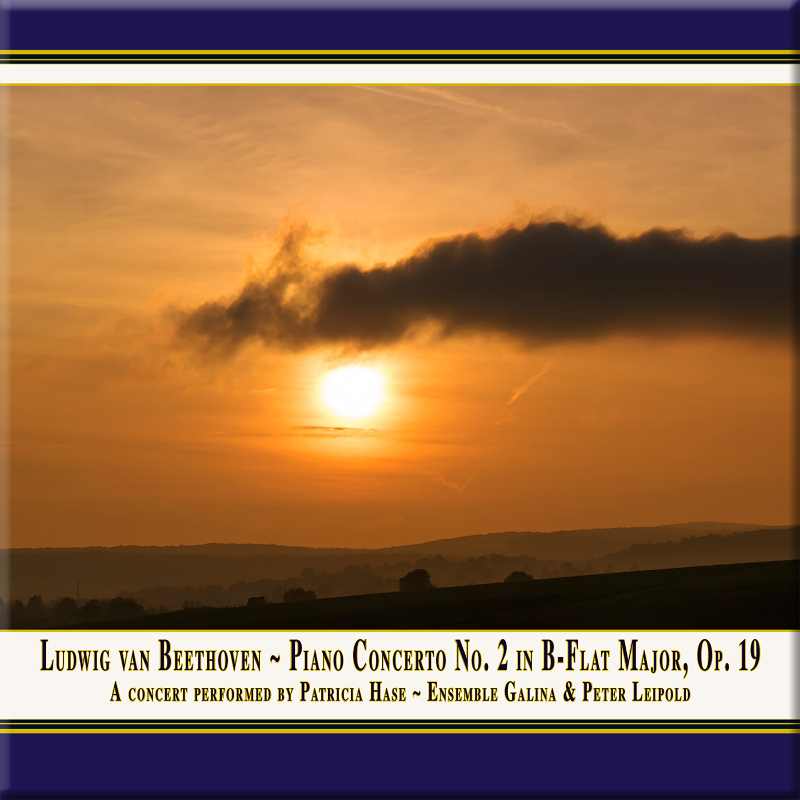 In addition to her pet project, the interpretation of the works of Franz Schubert which are celebrated by the press and public, Patricia likes to forge a bridge between "past" and "present", such as this recording, which ranges from the 1770-born Ludwig van Beethoven to Galina Ustvolskaya, who died in 2006.
ince the beginning of her studies Patricia Hase has enjoyed a close friendship with the conductor Peter Leipold, born 1987 in Stuttgart. Since then, numerous concerts have led the two young musicians throughout Europe. The work of Peter Leipold, who started his career at the Theater Erfurt and was honored by the Hannoversche Allgemeine Zeitung for his "quality of musical fine drawing", fascinates in his role as a seeker of and servant to the rich facets and colors of music that can be unveiled in the score and by the orchestra, as a conductor who represents the bridge between the musical performer and the score. With the recording of "Concerto for Piano, Timpani and String Orchestra" by Galina Ustvolskaya, Peter Leipold follows his passion for new music, on which he already specialized during his conducting studies for music of the 20th and 21st centuries at the Conservatorio della Svizzera Italiana in Lugano. 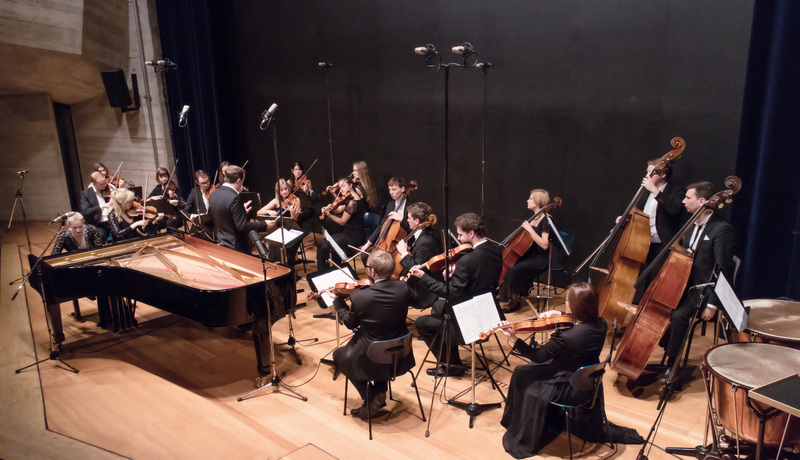 The Ensemble Galina was founded in October 2014 and formed out of the desire to make music at a level where the quality of music and friendship come together. The young chamber orchestra is made up of 18 musicians - music students and emerging professionals from all over Germany. With the pianist Patricia Hase and the conductor Peter Leipold the ensemble makes it its mission to inspire a new sense in the musical performance - searching for harmony in the dialogue between soloist and ensemble and between composer and performers, honoring the true sense of the word »concertare«. For the name of the ensemble, they chose the Russian composer Galina Ustvolskaja (1919-2006), her »concert for piano, strings, and timpani« becoming the foundation stone on which the Ensembles was built. Ustvolskaja, who had to fight for cultural survival as a composer under the Soviet Regime touched us musicians not only with her life story, but with her music’s unbelievable emotional approachability, sincerity, and depth. The urgency in her existential musical expression became a very special motivation for the young musicians. To inspire true emotion as well as to search out interesting contemporary forms of expression are the goals and purpose of the Ensemble. With this new approach, which is shaped through collective dialogue and musical discourse, the Ensemble Galina endeavors to preserve the great cultural property in our time. the Wellness-Hotel Diedrich in Hallenberg (Sauerland) and the "funding pool gender of the Hanover University of Music, Drama and Media". Wonderful performance and very good recording quality. I love the beauty of the interpretation!